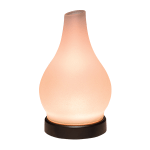 The Scentsy Diffuser, is a truly personal fragrance experience. 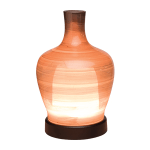 Simply add water and your favorite Scentsy Natural or Essential Oil to the reservoir, choose your lighting option and mist option and enjoy. 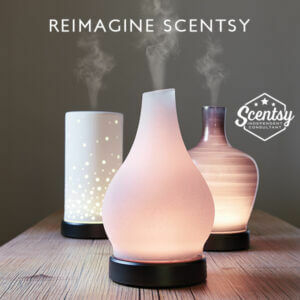 The Scentsy Diffuser releases your perfect fragrance, carried in a microscopic mist, for an exclusively natural, full-bodied, immediate experience for your own personal fragrance experience. 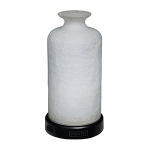 Scentsy Diffuser $130, includes differ and your choice of glass shade. The Scentsy Diffuser is a fragrance experience like no other. 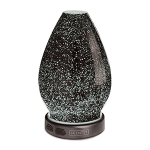 Featuring the world’s most advanced ultrasonic nebulizing diffuser, a lifetime warranty, 16 LED lighting options, three mist options and decorative, interchangeable shades, it’s a stunning way to enjoy 21 new essential and 100 percent natural Scentsy Oils. 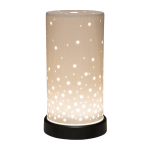 Like Scentsy’s flagship warmers and wax, the Scentsy Diffuser and Scentsy Oils are a simple system: Add water and your favorite Scentsy Oil to the diffuser reservoir and choose your light and mist options. The diffuser releases your perfect fragrance, carried in a microscopic mist, for an exclusively natural, full-bodied, immediate fragrance experience precisely matched to your desires. 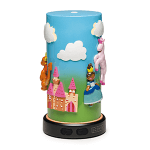 Though the system is simple to use and easy to enjoy, it is an entirely different experience from the Scentsy Warmers. 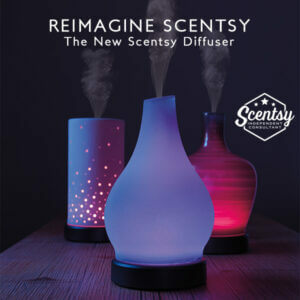 The Scentsy Diffuser is an ultrasonic nebulizing diffuser. Basically, a small ceramic plate vibrates at high frequencies to break water and oil down into fine particles that are dispersed into the air. 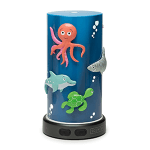 This provides a different fragrance experience than our Scentsy Warmer and Wax systems. Because the diffuser uses cold mist technology, the fragrance character remains consistent throughout the fragrance experience. You can customize this experience by adding more or less oil, and even create new fragrance combinations by mixing oils. Scentsy Diffusers are meant to be experienced. And when you bring together friends and fragrance, the sharing, laughing and reminiscing happens naturally. That’s why Scentsy parties are so much fun! 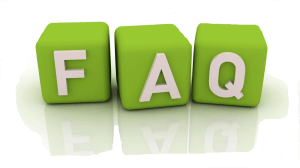 The Scentsy Diffuser offers a limited lifetime warranty, but customers must register their product within six months of purchase at scentsydiffuser.com to utilize the warranty. Add your choice of 21 essential and 100% natural Scentsy Oils. Choose from one of the three light setting. Press the light button once for high, twice for low, three times for candle effect and four times to turn it off. Choose a color or color mode. Choose from one of the three diffuser mode. Enjoy beautiful Scentsy natural fragrance.